With its calm, tranquil atmosphere, and stunning views across the Firth of Forth, Lauriston is the perfect place to escape from the bustle of the city centre. 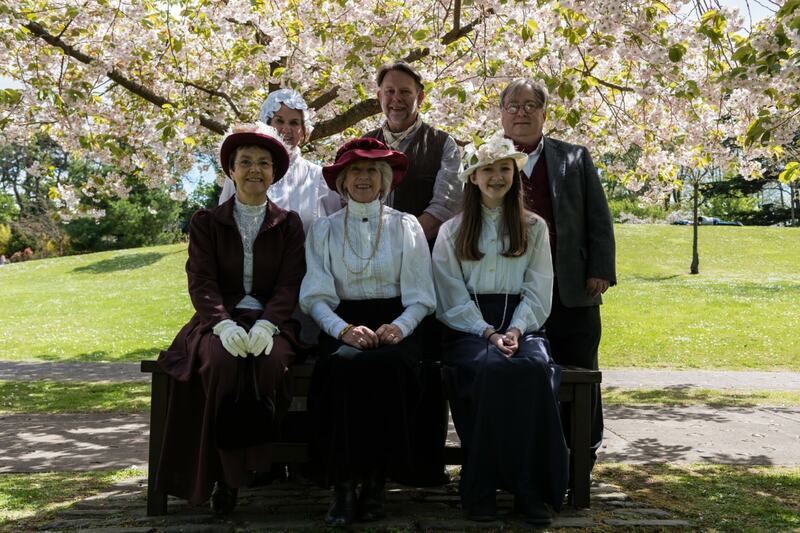 Enjoy a woodland walk, a visit to our award-winning Japanese garden, or step back in time and experience what life was like in an Edinburgh middle-class home at the beginning of the 20th century. 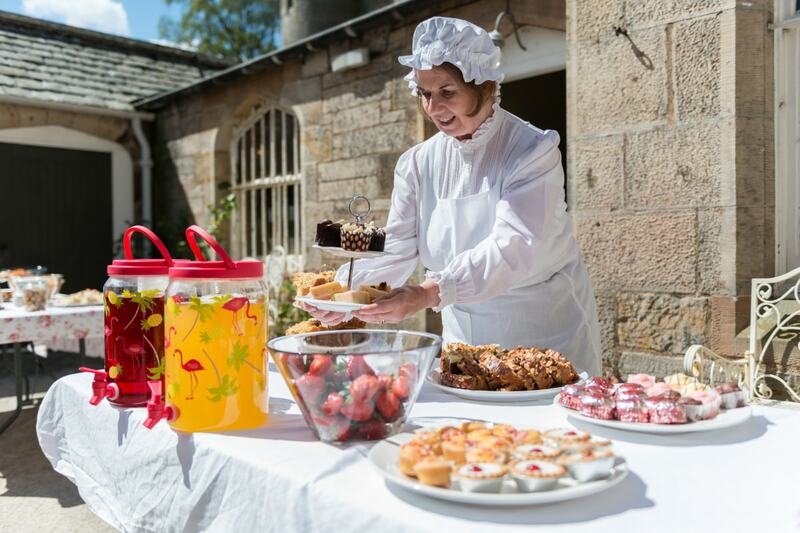 Lauriston Castle's beautiful Courtyard Café is currently closed. Opening times may vary and are weather dependent. For all café enquiries please contact: lauristoncourtyardcafe@outlook.com. Grounds open 8am close 8pm in summer. See below the opening times for the castle grounds, which are free to enter. Lauriston Castle sits between Davidson’s Mains and Cramond. From Davidson’s Mains walk along Cramond Road South, past the supermarket. Cross over Lauriston Farm Road and continue along Cramond Road South. Follow the stone boundary wall to the main entrance into the gardens. Walk down the drive to reach the Castle. From the roundabout at the Silverknowes bus terminus, walk up Lauriston Farm Road to meet Cramond Road South. Turn right and the entrance to the Castle grounds is just a few metres along Cramond Road South. Note: the North Edinburgh Cycle Network crosses Cramond Road South so is a handy option for cyclists. Lauriston Castle is accessible via the North Edinburgh Cycle Network. Cyclists should follow signs for Davidsons Mains on NCR75 and NCR1 from the City Centre. Where NCR1 crosses Cramond Road South, cyclists turn right and continue along Cramond Road for a short distance to the Castle entrance. The nearest railway station is Edinburgh Haymarket, but Edinburgh Waverley Station in the city centre is more convenient for buses to Lauriston. The 29, 41, and 37 pass along Princes Street near to Waverley Station. A taxi ride takes about 25 minutes. 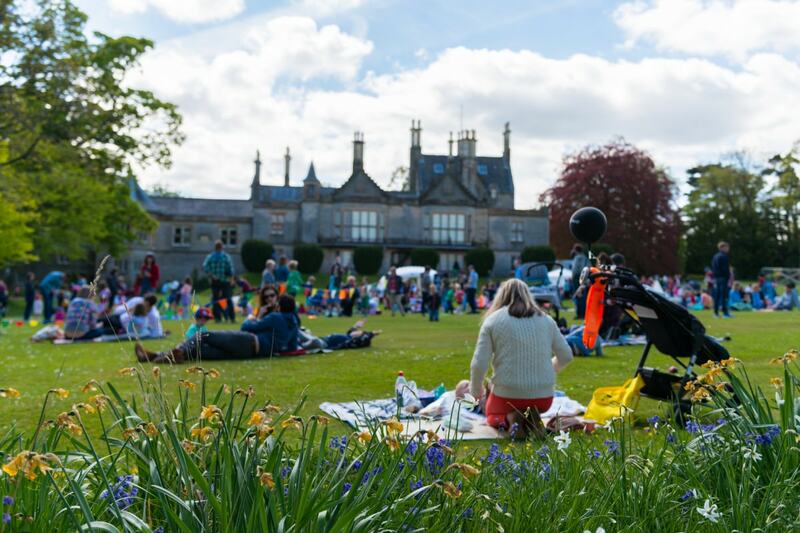 You can take buses to Davidson’s Mains (21, 41 & 42), or Silverknowes Terminus (16, 27, 29 & 37); both are around 10 minutes' walk from Lauriston Castle. There is a free car park and cycle racks in the grounds. Disabled badge holders may park in front of the castle. The main entrance has 4 steps. Due to the historic nature of the building, there is no lift and no ramp. Large print information can be printed if you request before your visit by email. Guided tours for parties of 10+ can be booked outside opening times by phoning 0131 336 2060 or by emailing lauristoncastle@edinburgh.gov.uk. Admission charge £6 per person. 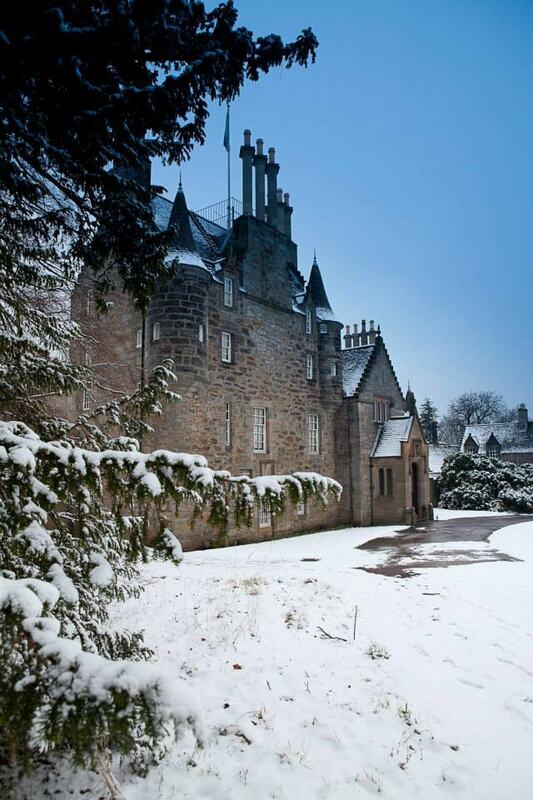 The collections at Lauriston Castle were assembled by Lauriston’s last residents, Mr and Mrs W. R. Reid, and Mrs Reid’s brother Mr William Barton. They shared an understanding that the last of them surviving would leave the house, grounds and contents in Trust to the Nation, and so after the death of Mrs Reid in 1926 the Castle became a museum. Mr Reid owned one of Scotland’s leading cabinet making business, Morison & Company, interior decorators and furniture manufacturers, with branches in Edinburgh, Glasgow and Manchester. You can see many fine examples of Morison and Co. furniture inside the Castle. Mrs Reid’s brother, William Barton, ran a large-scale plumbing and ‘sanitary engineering’ business, installing plumbing and electrical work and even inventing a revolutionary steam sterilizing system for hospitals. He worked closely with his brother-in-law’s cabinet making and interior design Company, and they were responsible for the bathrooms, electric lighting and central heating which turned Lauriston Castle into a modern Edwardian Home. 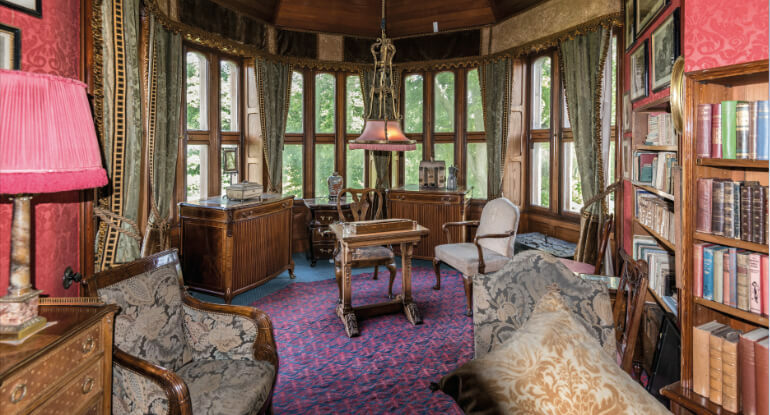 Lauriston’s collections are displayed within an interior designed by William Robert Reid. Some of the objects were brought from their former home at 78 George Street, Edinburgh – the mezzotint engravings, Sheffield plate, Scottish and English furniture, and Chinese and Dutch blue and white ceramics; which were all fashionable collector’s items of the period. 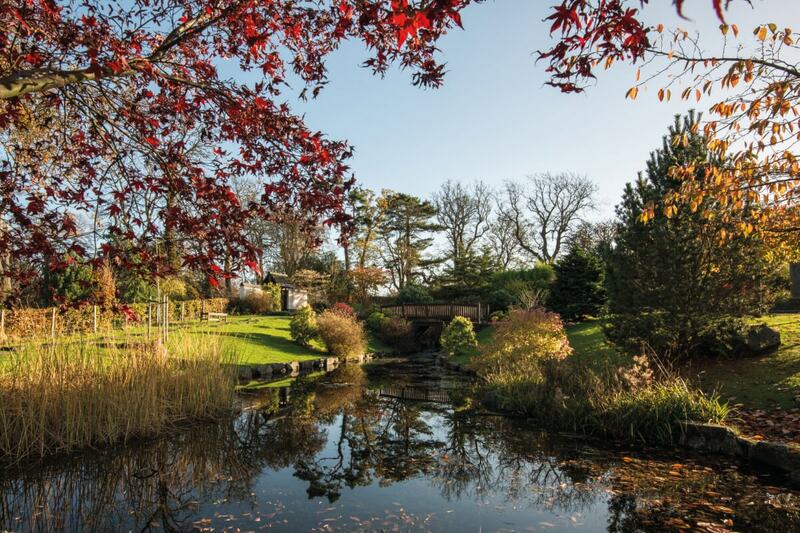 The Reids’ move to Lauriston Castle in 1903 inspired the development of new collections. The Southern Italian and Dutch furniture, Blue John ornaments, Eastern rugs and Crossley wool mosaics were all collected to complement Mr Reids design for Lauriston’s elegant Edwardian interiors. The furniture collection includes pieces from Scotland, England and Europe. There is an elegant Lady’s writing desk made in Scotland in about 1800, fine examples of beautifully crafted Parisian furniture - such as a French commode made in the 1780s by G W Dester who became a master of the Corporation of Cabinet makers in Paris in 1774..Our most remarkable pieces are Mr Reid’s collection of 18th century Italian Furniture, with examples from Naples, Sicily, Lombardy, Venice and Rome. Perhaps the most spectacular of all is a table top, dating from about 1590, and made in a technique known as ‘pietra dura’ in which marble and semiprecious stones are cut and fitted into a slab of marble to create complex and beautiful patterns. The table stands in the Reception Hall at the castle used the colours from the different stones in this table as the design inspiration for whole room. As well as the many thousands of items collected by the Castle’s last owners you can also see some of their more personal belongings, There are all manner of details which give insight into the lives of the people who lived at Lauriston in the early 20th century from Mrs Reids piano and music in the Drawing Room, a newspaper in the Sitting room reporting the sinking of the Titanic, a 1920’s telephone in Mr Reids Study, and Mrs Reid walking stick with her name attached on a silver plaque by the castle doorway. Download our comprehensive access guide to find out how you can get to and around Lauriston Castle. 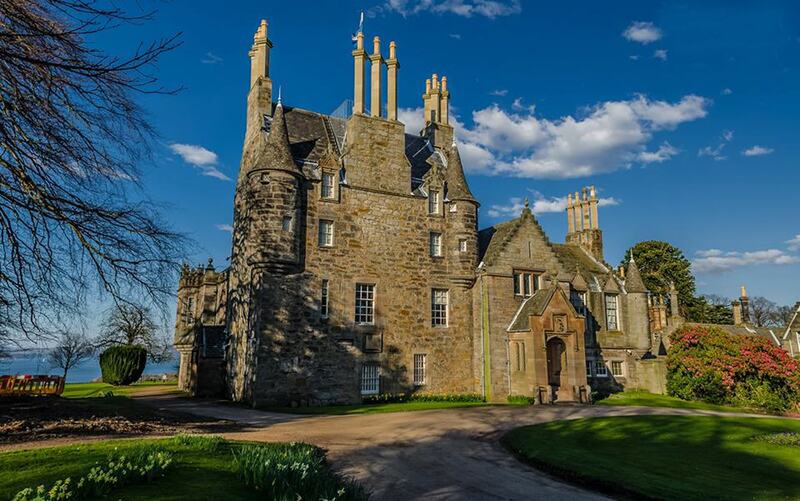 Lauriston Castle is a 3 star historic house.